What’s better than a relaxing vacation surrounded by turquoise waters, blue skies and powdery-soft sand? Getting that vacation for half off, that's what. Breathless Resorts and Spas invites you to party in paradise with their Vacations Half Off deal, going on right now. All you need to do is book now through December 12 for travel now through December 22. Indulge in Unlimited-Luxury, where nearly every amenity is included. Take advantage of unlimited gourmet dining, premium spirits, daily refreshed mini bar, 24-hour room service, a thriving, upbeat nightlife and more. Check out our special offers page for even more great deals! Breathless is the all-new, adult escape for sophisticated singles, couples and friends. 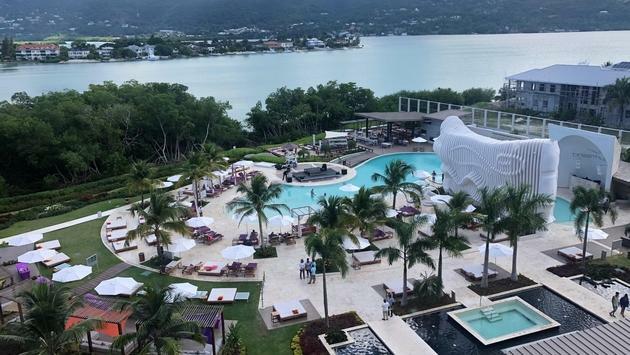 Our resorts are luxe, modernist and chic, featuring pristine beaches, trendsetting restaurants and lounges, world-class spas and vibrant nightlife and entertainment. Meet new people from around the world, and reconnect with those who mean the world to you. For more information on Breathless Resorts and Spas and their Vacations Half Off Deal, visit their blog here. Stylish and exhilarating, Breathless Riviera Cancun Resort & Spa, is located just 15 minutes from Cancun International Airport and nestled between the jungle and Caribbean Ocean.